Crazy Snail Disclosures: Samples of the products featured in this post were sent to me by The Beauty Shelf for testing. If you have any questions about my standards for accepting press samples, please see my sponsorship policy or contact me directly. Of all the beauty tools I’ve tried since I started my journey into Asian skincare, the most indispensable has definitely been the soft, squishy, gentle, humble konjac sponge. Nothing else I’ve tried has been as undeniably useful. A konjac sponge can make a mountain of satisfying foam out of the most gentle and poorly foaming face wash. It can sweep away flakes of dead skin without irritating the more sensitive new skin underneath; it can help smooth your skin without putting you in danger of overexfoliating, no matter how many actives and prescription topicals your skincare routine contains. And konjac sponges are affordable, too! I’ve been using The Beauty Shelf konjac sponges exclusively for quite some time now. Longtime readers of Fifty Shades of Snail may know The Beauty Shelf for the Amazon coupon code they made for this blog’s readers. I’m happy to announce that The Beauty Shelf now has two new konjac sponge sets and a new coupon code for us! No matter which variety you use, enter the coupon code “SSNAIL20” at checkout to get 20% off of your The Beauty Shelf items. This coupon code does not expire. 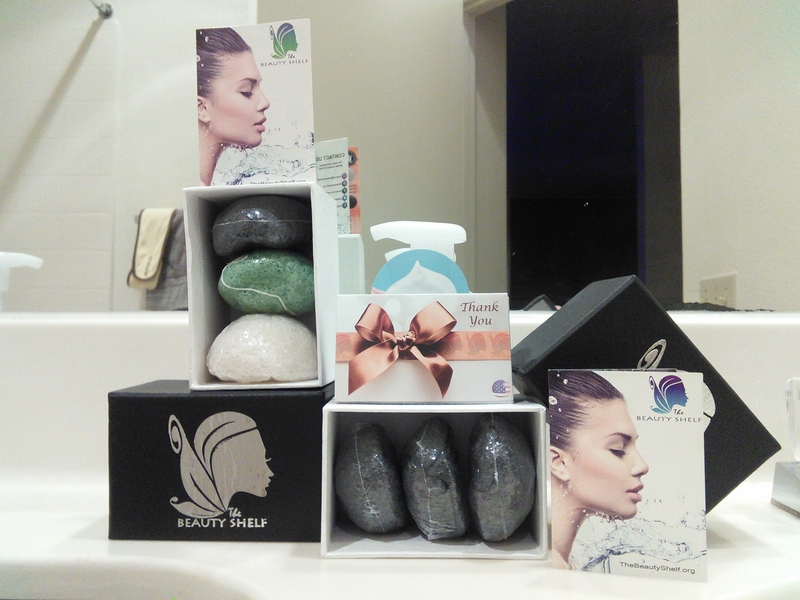 The konjac sponge material remains the same puffy, soft, durable stuff that The Beauty Shelf has always used. Now, however, The Beauty Shelf offers two new ways to get exactly the variety you like. The new set of Activated Bamboo Charcoal sponges contains three circular black konjac sponges. They work best for oily skin or skin that’s exposed to a lot of pollution or other environmental contamination. 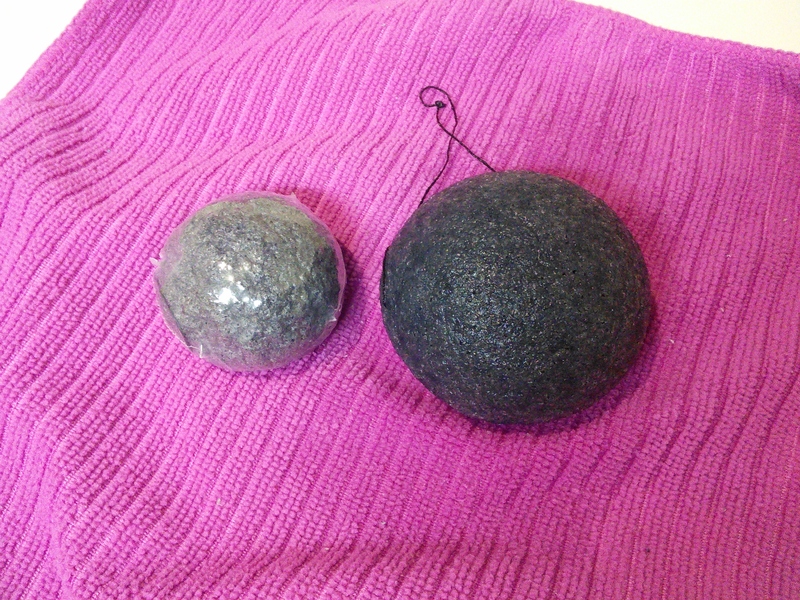 While I’ve always believed that additives like charcoal most likely wash out of konjac sponges after a few uses, I appreciate the more firm texture of these. To me, they seem to be the most exfoliating of the varieties. They puff up like mad, by the way. The Beauty Shelf Activated Bamboo Charcoal konjac sponges come in a set of 3 for $11.97 with free two-day Prime shipping (affiliate link). There’s a variety three-pack, too. The variety set comes with three circular sponges: the Activated Bamboo Charcoal, the Natural White, and the Green Tea. The Green Tea variety is softer than the Activated Bamboo Charcoal and is intended for sensitive or acne-prone skin. In my experience, the Natural White is the softest and puffiest of the three. You can try them all out! The Beauty Shelf konjac sponge variety set comes with one each of Activated Bamboo Charcoal, Green Tea, and Natural White for $12.97 with free two-day Prime Shipping (affiliate link). 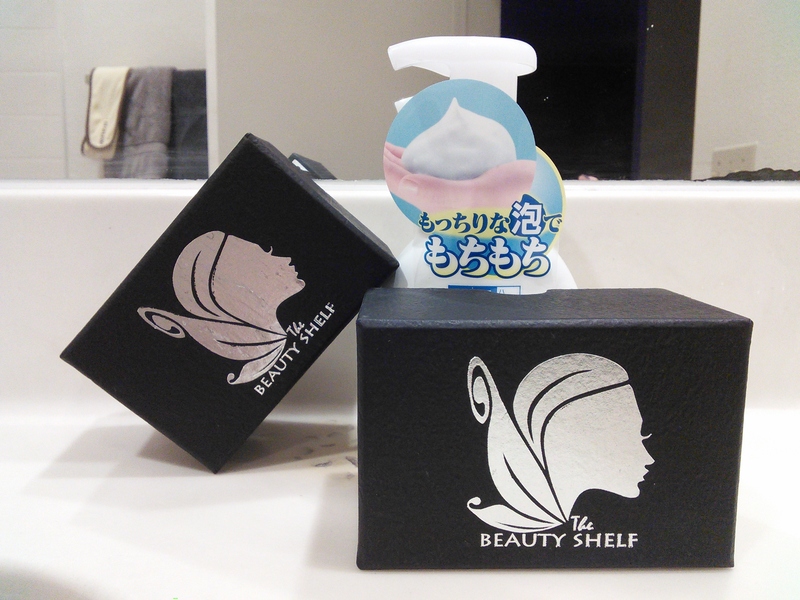 The Beauty Shelf’s original sponges in the heart-shaped boxes are still available, too. The coupon code is valid for these as well. 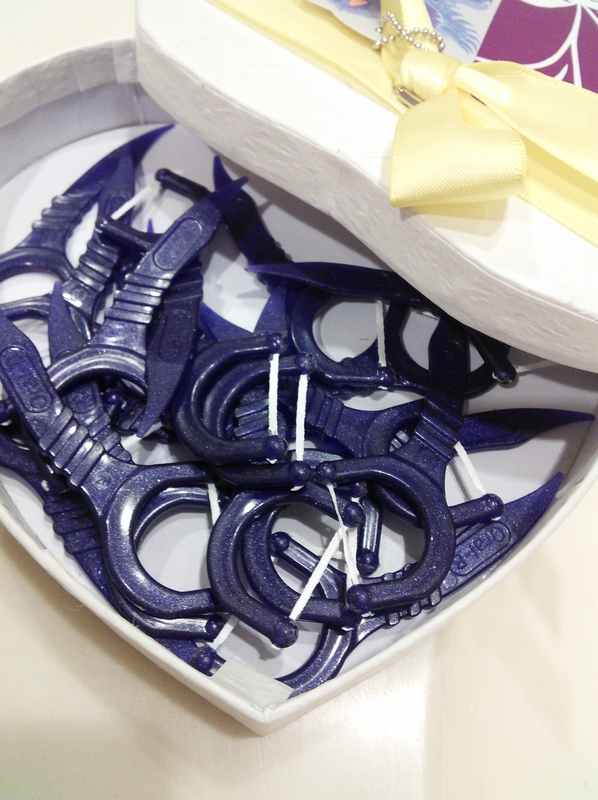 Oh, and the super-sturdy boxes work nicely as containers when repurposed, for those of you who have that disease. Yes, I still have that disease. What kind of konjac sponge do you use? I have a Konjac from my local pharmacy! I was amazed to see it. It’s from The Konjac Sponge Co, I think. It has red clay in it (at least for the first wash!) I’d like to try the heart shaped ones. Thanks for the code! Have ypu seen results after using them? My skin is combination and i thought to buy the charcoal one…can i use them to my body too? Do you buy your Hada Labo Gokujyun Foaming Face Wash on Amazon? And if so, is there a particular reputable seller you recommend? I do get it on Amazon, though I don’t really pay attention to sellers. I just look for things that are fulfilled by Amazon and are Prime-eligible. Thanks so much for your quick reply! Really appreciate it! I’m just worried about buying the cleanser on Amazon because Japanese products tend not to have expiration dates on them. How do you get rid of the smell? It has like a wet seaweed smell that I can’t rid of after using the sponge on my face. I think I know what you’re talking about, as I’ve noticed it on new sponges sometimes, too. It goes away after a few washes.